Join us in a unique design journey through time and revisit the Old West. 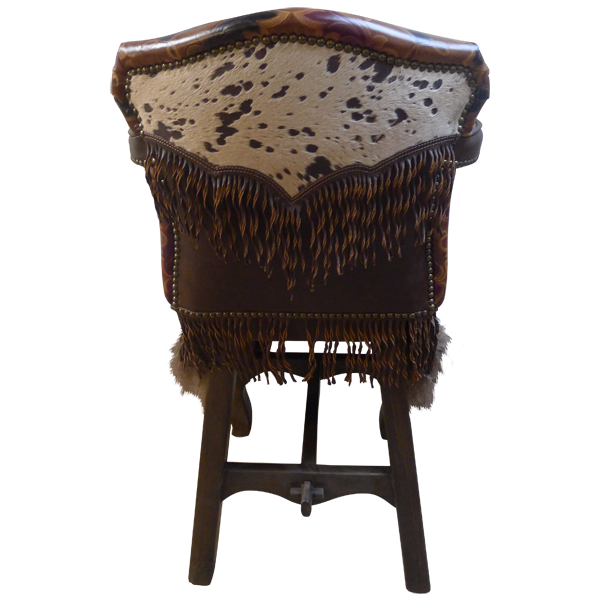 Spend time on our Western bar stools and you and your friends can talk about the events of the days or things yet to come. Either way, we promise that you will thoroughly enjoy yourselves and our handcrafted bar stools too. This particularly handcrafted bar stool incorporates a variety of beautiful elements. Its seat and armrest are upholstered in rich natural brown full grain leather, the side of the seat and the inside seat back are upholstered in beautiful embossed full grain leather, the reverse side back is upholstered in contrasting genuine cowhide and embossed full grain leather. 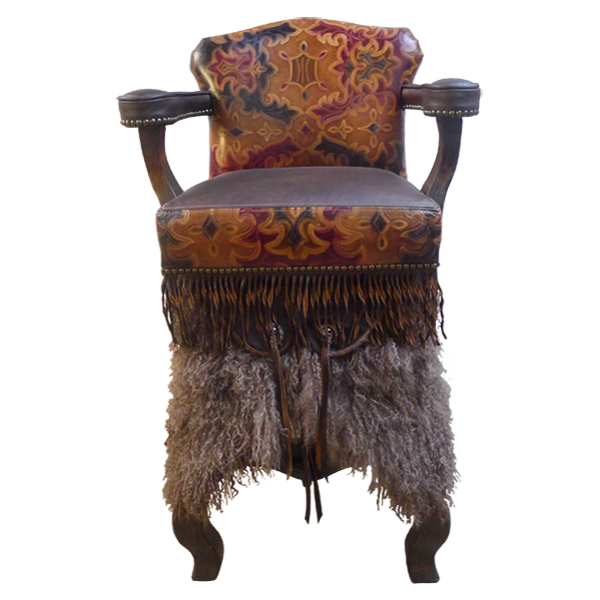 The 2 different full grain leathers on the reverse side back are separated by full grain leather fringe in a ”V” design. All of the different leathers are double stitched together for strength and durability. The bar stool sits on cabriole legs joined by curved cut footrest “H” stretcher. The 2 front legs are decorated with custom wooly chaps made of lamb’s wool. 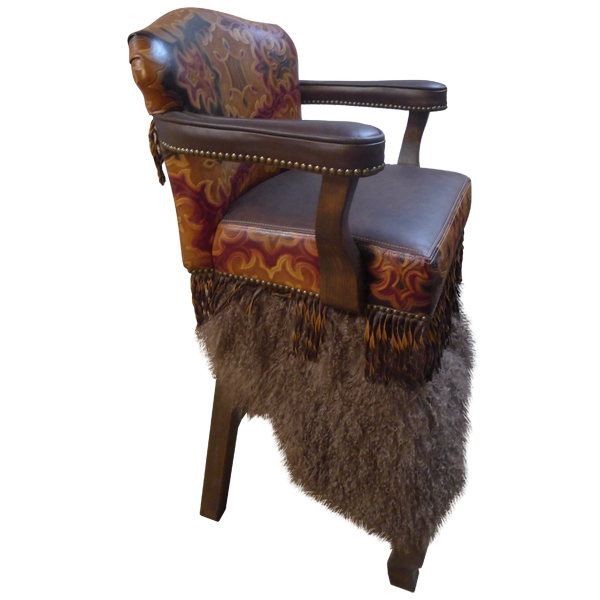 All upholstery is precision hand tacked around the bar stools entire wood base. It is comfortable and durable and made with the best wood available. This bar stool swivels 180° and is 100% customizable.